Necromaniac are a band from the United Kingdom that plays an old school mixture of black, death and thrash metal and this is a review of their 2018 ep "Subterranean Death Rising" which was released by Iron Pegasus Records. Ritualistic sounding synths start off the ep before going into a heavier direction while the faster sections of the songs also bring in a great amount of tremolo picking and blast beats which also gives the songs more of a raw feeling along with the music also mixing in a great amount of death and thrash metal elements. 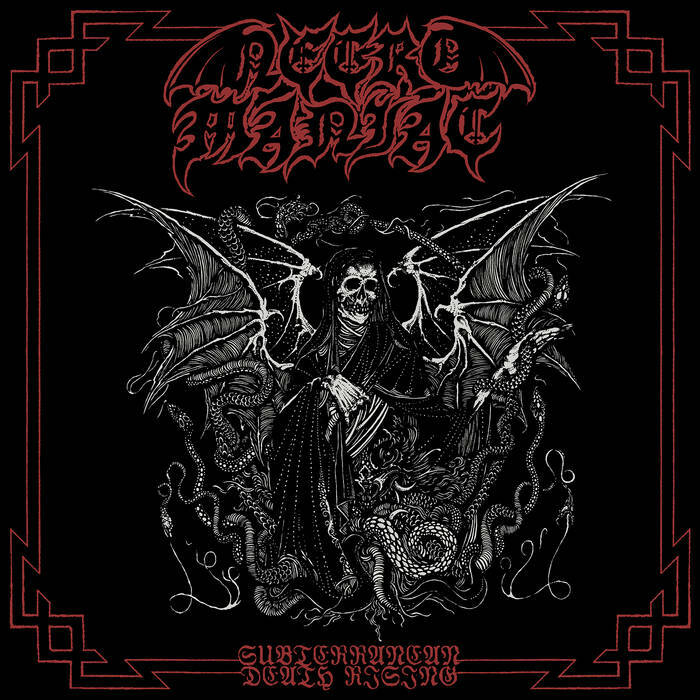 Vocals are black metal screams that are influenced by both the first and second wave eras of the genre while the music also captures the raw aggression of the 80's Brazilian style along with the solos and leads also being done in a very dark, melodic and old school style and the songs also bring in a great mixture of slow, mid paced and fast parts and clean playing is added towards the end of the second track. 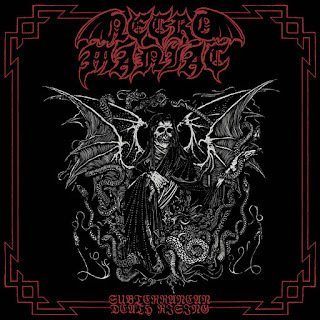 Necromaniac plays a musical style that goes back to the 80's and early 90's era of black, death and thrash metal, the production sounds very old school while the lyrics cover Occultism, Blasphemy and Darkness themes. In my opinion Necromaniac are a very great sounding old school mixture of black, death and thrash metal and if you are a fan of those musical genres, you should check out this band. RECOMMENDED TRACK "Sealed For Eternity". 8/5 out of 10.